Vintage style and European comfort are yours with the Remonte Dorndorf Rieker R7575 shoes. 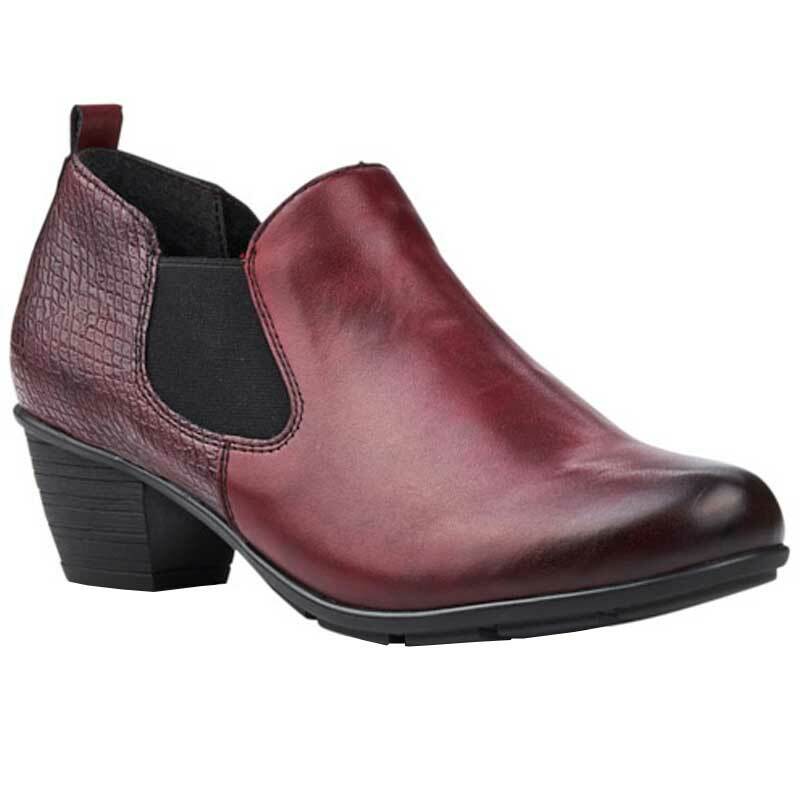 This women's slip-on loafer features a rich leather upper with texture and burnishing details for a sophisticated look. The lightly-padded insole provides cushion without sacrificing flexibility, and the dual side goring allows for easy on/off and a secure fit. The stacked heel adds a boost in height without feeling unstable. Perfect with dress pants or skirts, the Remonte Dorndorf by Rieker will surely compliment your wardrobe.